Suddenly Last Summer… "The one they're all talking about!" Have you seen the classic queer cinema documentary The Celluloid Closet recently? Whenever I see an older film with gay content I find myself reflexively referencing that documentary. Did they cover it? If they didn’t could it fit easily into the historical narrative they mapped out there? I know that Suddenly Last Summer (1959) is referenced, but I can’t begin to recall in what context or which clip was shown. The film has a dark stickiness to it that is hard to shake for days afterwards and I’ve just rewatched it last week so I’m still in its swampy hot presence. In high school English I became totally smitten with the Tennessee Williams classics. This worried my mother because she picked up on everything gay long before I did though she was too religious to ever name that unspeakable concern. (She gave me the same look when I fell hard for Cabaret though the most she would say by way of explanation was that it was “disgusting”). Hollywood as an industry is perhaps a little more akin to a frightened parent than their gay child; Showbiz loved, nurtured and produced endless gaybies but always had issues with their gayness! Liz dreams of beautiful men "Blondes were next on the menu"
Case in point: Hollywood couldn’t stop making film versions of Tennessee Williams plays in the 50s and 60s but his celebrated plays rarely made it through the adaptation process intact. Usually they were marred by censorship of some kind whether outwardly imposed or stemming from a lack of nerve about their sexual content. A Streetcar Named Desire, a total masterpiece of both stage and screen, is arguably the only film version you could safely call definitive. Wouldn’t it be great to see more cinematic versions of his work? How many film versions of Shakespeare plays have we had at this point? Cat on a Hot Tin Roof is a masterwork so why is there only one big screen Cat, for example? 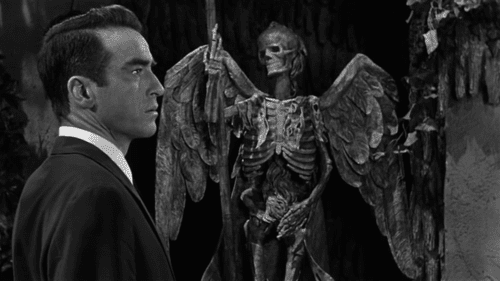 It's hard to imagine someone remaking Suddenly Last Summer … but shouldn’t someone try? The material is so ripe for interpretative leeway since it’s so strange and unfilmable, a one act consisting of just two long monologues. If Tennessee enjoyed Shakespeare’s reputation (and why shouldn’t he? Let’s not succumb to pop culture’s view of Shakespeare as the only masterful and important playwright) it might well be named one of his “problem plays” but the problem is perhaps not the play itself but how unsuited it is for traditional narrative film adaptation. Naturally the movie had to take liberties with expansion and characters and a more conversational approach. Tennessee Williams hated it but artists aren’t always the best judges of their own work. 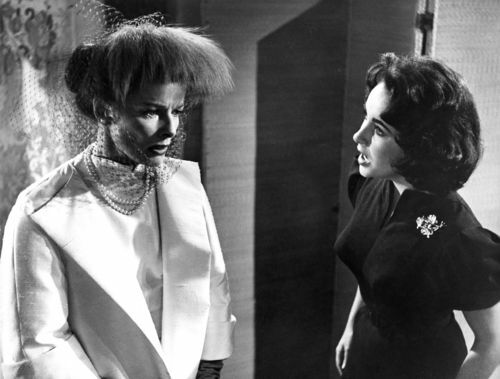 For those who are unfamiliar Suddenly Last Summer takes place after the wealthy Violet Venable’s (Katharine Hepburn) son Sebastian has died under questionable circumstances on a summer vacation with his beautiful cousin Catherine (Elizabeth Taylor). Catherine has been locked up since either spouting gibberish about the incident that no one believes or understands or forgetting the details of the event entirely. Enter the neurosurgeon Dr. Cukrowicz (Montgomery Clift) who Violet hopes will Vlobotomize Catherine… carve those hateful gibberish lies right out of her brain! Essentially Suddenly Last Summer is a war over who owns the truth, but it’s also in its peculiarly evasive way, a psychological horror movie about predatory gays. Some future production of Suddenly Last Summer might conceivably top and complicate and rescue the 1959 film version with the distance and perspective of a post-homobic* world, but good luck trying to top its indelible leading actresses. They were both nominated for Oscars. Elizabeth Taylor was at the absolute peak of her legendary beauty in the 1950s but she was also knocking performances out of the park and this is one of her very best. She careens from self-possessed to just possessed and her big moments are like molotov cocktails of provocation, carnality, confession, memory, and post traumatic stress disorder. Hepburn’s imperiously cruel and delusional matriarch is something else entirely, a camp classic in and of itself. It’s worth noting that Hepburn never joined in on the popular 1960s fad of Grande Dame Guignol Horror (aka “Hag Horror”) that her peers Bette Davis, Joan Crawford and Olivia de Havilland all participated in. Suddenly Last Summer is as close as she ever got to that endlessly fascinating sub genre that was long dead and buried until Ryan Murphy met Jessica Lange and they dug up its corpse. Suddenly Last Summer is not a lost Hag Horror classic, don't misunderstand. It’s something far more singular. It may well be its own genre of one: Fag-Hag Horror. When Violet and Catherine finally clash in the film’s last mesmerizing act, Catherine terrifies Violet with the truth of their similar roles in Sebastian’s lives. She says with contempt and says it repeatedly. Is she horrified by her own life choices, or the man she loved that didn’t love her back? Or both? And here both women are again, repetitively warring over the soul and loyalty of another man who doesn't love them in quite the same way. And one who so reminds them of Sebastian. Nathaniel Rogers would live in the movie theater but for the poor internet reception. He blogs daily at the Film Experience. Follow him on Twitter @nathanielr.